First and foremost, we are dedicated to our customers’ satisfaction. For this reason, we make every effort to ensure that the plants we offer are healthy and thriving when you buy them. 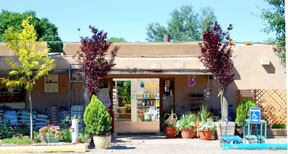 All Payne’s plants are guaranteed to be free of insects and disease at the time of purchase. There is no guarantee expressed or implied on discounted products. Under no circumstances will we be held liable for any amount greater than the purchase price. Trees and Shrubs: All outdoor trees and shrubs are guaranteed to live for 100 days from date of purchase, or, if purchased in wintertime when they are dormant, they are guaranteed to leaf out in the spring, providing they have received proper watering and care. Hardy Perennials, Hardy Perennial Herbs, and Hardy Perennial Groundcovers: All Payne’s hardy perennials are guaranteed to live for 100 days from date of purchase, providing they have received proper watering and care. All Payne’s tropicals and houseplants are guaranteed to live for 100 days from date of purchase, providing they have received proper watering and care. Annuals, Bedding Plants, and Vegetables: Annuals, including vegetables, bedding plants, and annuals planted in hanging baskets, combination pots, and cell-packs, are guaranteed to be free of insects and disease at time of purchase. Otherwise they are not covered by Payne’s guarantee. Plants Kept In Outdoor Containers: Plants that are left in their nursery containers outdoors, or transplanted into other outdoor containers by the customer, are not covered by Payne’s guarantee. This is because of the high possibility plants face of drying out, freezing, or dying back due to salts accumulating in the pots due to frequent waterings and/or use of fertilizers. Plants Damaged Off of Our Premises: Plants are not covered by our guarantee if, off our premises, they are stolen; vandalized; damaged by “Acts of God” (such as hail, fire, flood, drought, wind, frost, and predators); damaged by hired workers; or harmed by improper maintenance, such as inappropriate siting, insufficient watering, insect infestations, overfertilizing, and herbicide drift from your (or a neighbor’s) yard. Sale Plants: Plants purchased on sale, plants sold at wholesale discounts, or plants purchased with the use of credit coupons are not included in Payne’s guarantee. Only the original purchase is covered by Payne’s guarantee. If Payne’s plants receive proper siting and care and fail to live for 100 days from the date purchased, return the plant along with the receipt to the store from which you bought them — our South store at 715 St. Michael’s Drive or our North store at 304 Camino Alire. We will give a credit of half (50%) of the retail price of the plant(s), to be applied toward any future purchase(s). Delivery fees are not included in the credit tally. For questions about our Plant Guarantee Policy, or you are experiencing problems with plants purchased, please do not hesitate to contact us. Special Note For Payne’s Nurseries Account Customers: If a customer has not paid his or her account, the plants he or she has purchased are not covered by Payne’s guarantee. Normally, such bills are due by the 10th of the month following purchase, unless other arrangements have previously been made.